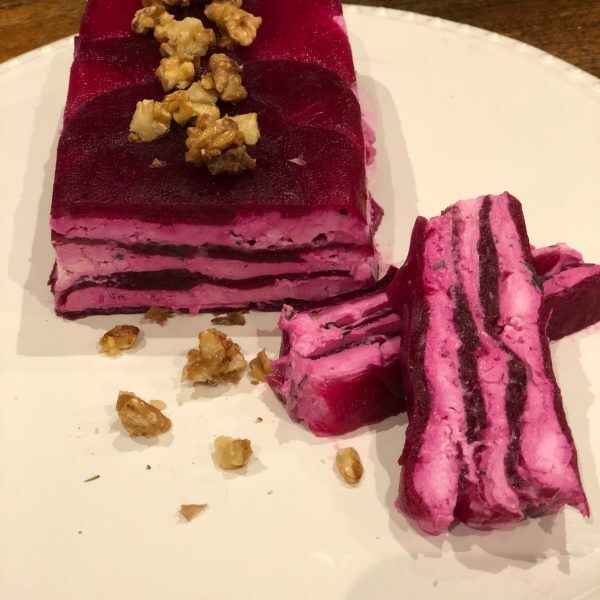 Beetroot and feta terrine - home cooked food delivered. This colourful terrine will wow your guests. 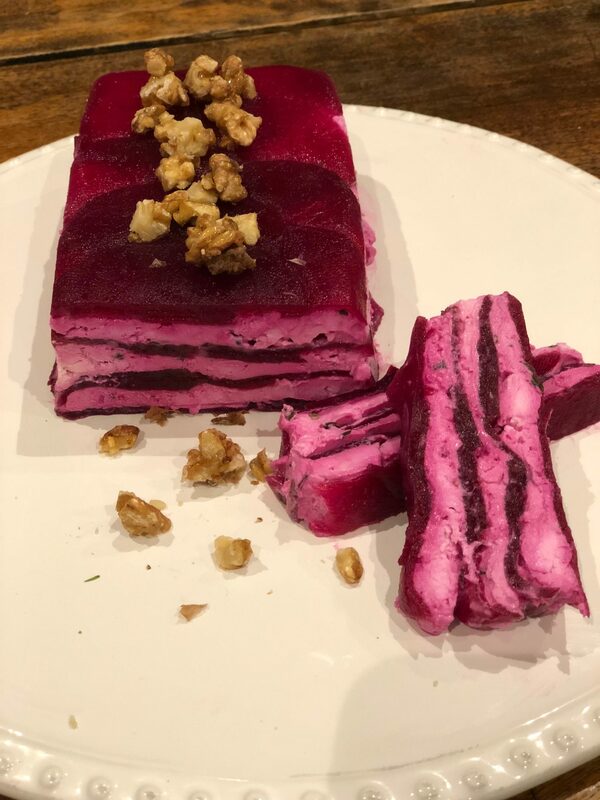 Made with our very own marinated fresh beets, layered with crumbled feta and cream cheese and herbs, topped with candied walnuts. Best served at room temperature. Simply remove from packaging and place walnuts on the top and slice into portions. Keep refrigerated and use within 5 days. Do not freeze.